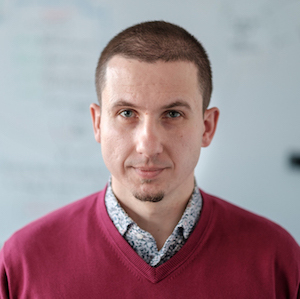 I am the head of Scholarly Communication Research Group (Adam Mickiewicz University in Poznań) and a policy advisor for the Ministry of Science and Higher Education in Poland. I got my PhD (2011) and habilitation (2016) in philosophy. Currently, I am the chair of the European Network for Research Evaluation in the Social Sciences and the Humanities and a member of the Committee for Evaluation of Scientific Units in the Ministry of Science and Higher Education in Poland. In 2016–2018, I was the chairman of the Commission for the Evaluation of Scientific Journals and Publishers in Poland. In my research, I focus on two major fields. The first one is research evaluation, in particular scholarly communication, academic publishing, and Open Science. My recent papers were published in Nature, Research Evaluation, Journal of Informetrics, Scientometrics, and Aslib Journal of Information Management. The other field is philosophy of communication and communication metatheory. I am the author of two books in Polish: Theorizing Communication (2012) and Two Aspects of Communication. Foundations of Communication History (2015). In 2016, I was awarded a Scholarship for Outstanding Young Scientists in Poland (2016–2019). In 2018, I was a laureate of the scientific award of the Polish Academy of Sciences. As part of my research, I try to go beyond the walls of the Academy. Therefore, I write popular science articles and essays. For many years, I have conducted seminars and workshops on scholarly communication. Since 2010, I have been writing an academic blog entitled “Warsztat badacza” (“Scholar’s Workshop”), where I discuss scholarly communication, research evaluation, science policy, and other issues related to the daily work of researchers. Although I write only in Polish, my blog has over 30,000 unique readers per month. The results of my research were presented in several publications. Below are the ones that are most important and, at the same time, most representative. A complete list of my publications can be found on my Google Scholar Citations profile. As I wholeheartedly support Open Science and Open Access, almost of all my previous papers can be downloaded in the PDF format. Total funding amount: 500,000 EUR (2.14 million PLN). The main goal of this project is to investigate how copying the regulations of the national research evaluation system in Poland into the local regulations of universities and faculties has produced the parametric game (‘punktoza’ in Polish) and transformed the publication patterns of scholars in the field of social sciences and humanities. The challenge of the Action is to enable the Social Sciences and Humanities (SSH) to better demonstrate their true place in academia and society. To do so, the Action proposes to bring together different strands of work consecrated to SSH research evaluation, currently under development in different parts of Europe, in order to gain momentum, to exchange best practices and results, and to avoid unnecessary duplication. Total funding amount: 490,000 EUR (2.0 million PLN). The aim of this project is to investigate the excellence patterns of Polish scholars in all domains of science and art. We will analyze their output from the 2009–2016 period. This project is being conducted by the West Pomeranian University of Technology, Szczecin in conjunction with two partners, i.e. the Nicolaus Copernicus University in Toruń and the Academy of Art in Szczecin. Total funding amount: 90,000 EUR (0.4 million PLN). The aim of the project is to investigate how the social sciences and humanities are defined within science policy and how they are evaluated through various scientometric indicators in Poland. We will investigate whether the humanities can be evaluated through the bibliometrics indicators and how scholars in of the Social Sciences and Humanities in Poland adapt to the bibliometrics assessment.